File profit or loss from business on Schedule C. As a member of an LLC, you must report business income on Schedule C to Form 1040. This form contains lines that help you calculate your profit or loss and deduct appropriate expenses. 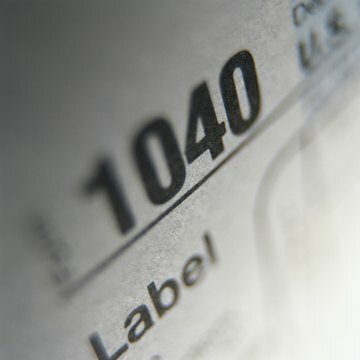 The final result can be carried over to Form 1040 to help calculate your personal federal income tax liability. If your business is a multi-member LLC, you should receive a Schedule K-1 reporting your share of the profit. Report passive income on Schedule E. Supplemental income earned by a single- or multi-member LLC through ownership of real estate or intellectual property can be reported on Schedule E to Form 1040. From rents and royalties received, you can deduct certain expenses listed on the form and calculate either a profit or loss that can be used to complete Form 1040. If your business is a multi-member LLC, you should receive a Schedule K-1 reporting your share of the income. File Form SE for self-employment tax. Members of an LLC are considered self-employed and must file Form SE to calculate the amount of self-employment tax owed unless their income from the business is less than $400. File multi-member LLC income on Form 1065. If your business is a multi-member LLC taxed as a partnership, the business itself must report its income on Form 1065. The business's taxes will still be paid by each individual member as reflected on their Schedule K-1 and reported in their individual returns, but this form helps the IRS ensure the business's income is being reported appropriately.